Clianthus puniceus and Swainsona formosa have similar flowers and were in the same genus Clianthus. 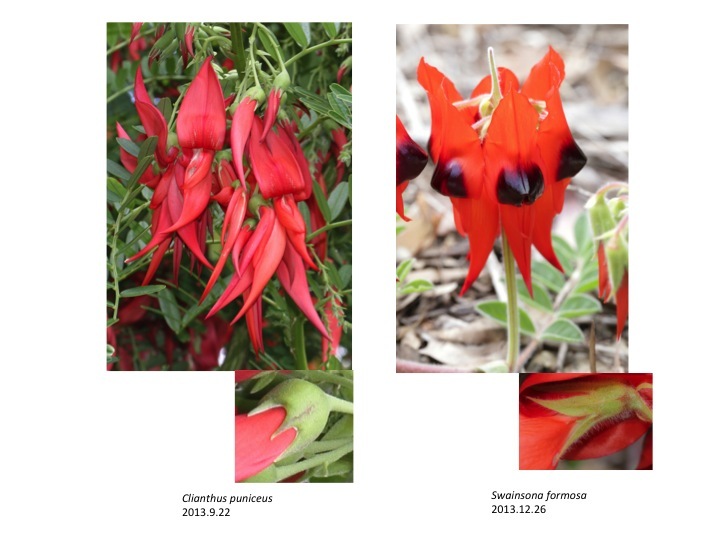 Thomson (1990) noticed the morphological difference of Swainsona formosa from Clianthus puniceus, e.g. (1) restricted inflorescence, (2) well-developed calyx lobes, and more, and moved to Swainsona. Similar flowers of these species are speculated to be convergence by adaptation to bird pollination. Thompson, J. 1990. 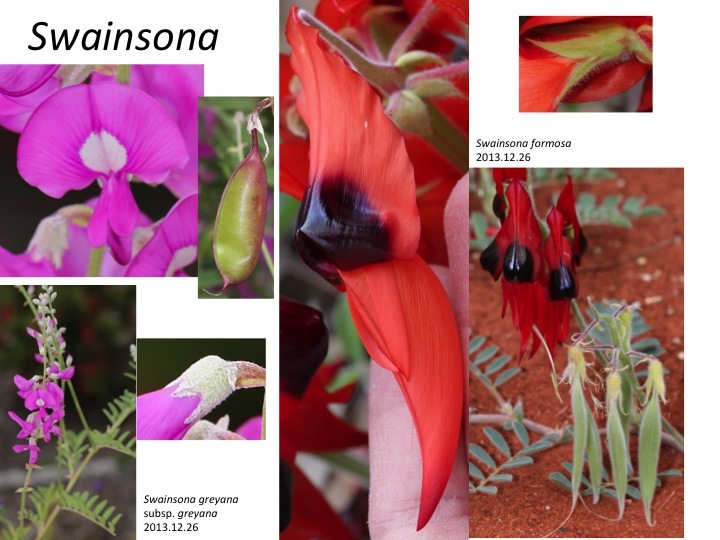 New species and new combinations in the genus Swainsona (Fabaceae) in New South Wales. Telopea 4: 1–5. Morphology of Swainsona greyana and Swainsona formosa is different in several points. Phylogenetic tree based on ITS sequences (Wagstraff et al. 1999) does not support the monophyly of Swainsona with statistic confidence. Wagstraff, S.J., Heenan, P.B., and Sanderson, M.J. 1999. Classification, origins, and patterns of diversification in New Zealand Carmichaelinae (Fabaceae). Amer. J. Bot. 86: 1346-1356.